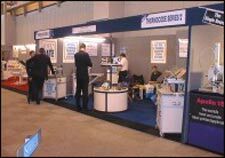 Business India Money Show is an event that took place between 21-Sep-2006 and 24-Sep-2006 in Hyderabad. Some people consider it lucky if you have more money than required for basic survival. Lucky for them, that is. Here is a large bunch of them, all at one place. Business India Exhibitions, a division of the Business India Group, is presenting the Business India Money Show starting from the 21st of September. This show is being organized in association with 'Business India', the business magazine, to coincide with the Inside Outside Mega Show, and will be on till the 24th of this month. The Business India Money Show will be the most comprehensive finance, investment & small business exhibition organised in India. Banks, Leasing & Hire Purchase Companies, Investment Institutions, Mutual Fund & Asset Management Companies, Fund Managers, Investment Consultants, Portfolio Managers, Insurance & Reinsurance Companies, Merchant Bankers, Stock Exchange, Financial Information Service Providers, Credit Rating Agencies, Property & Real Estate Companies, PR Agencies and Financial Consultants will be the ones interacting with the general visiting public, explaining the salient features of their investments and funds. Companies like ICICI Prudential, DSP Merril Lynch, Aviva, ICFAI University, Arihant Capitals, Motilal Oswal Securities, Birla Sun Life, Metlife and SBI are expected to participate in this exhibition. The entry to this exhibition is free. Please contact 2776-5716/3910-1494 for further details. Be the first to comment on Business India Money Show! Just use the simple form below. fullhyd.com has 700,000+ monthly visits. Tell Hyderabad what you feel about Business India Money Show!